Maintaining your respiratory system working with maximal efficiency is one of the most important things you can do to stay healthy since the respiratory system is one of the most essential parts of our body that has great effects. A healthy respiratory system is needed for a general sense of well-being, peacefulness and the ability to do your daily activities. On the other hand, an ailing respiratory system can be a warning sign of certain causes or an indicator of general bad health. Fortunately, maintaining the respiratory system healthy is relatively simple by following the following advice. Ceasing smoking or never beginning this bad habit is the primarily best measure for how to keep your respiratory system healthy. Studies show that 60% of a person’s lung function is decreased during a smoker’s lifetime and that cigarettes contain thousands of harmful substances that cause hardening of lung tissue. Smoking can lead to emphysema, chronic bronchitis, lung cancer, and aggravate sinusitis. So quit it now! Many individuals suffer from allergies from the most common allergens including dust mites, mold, pollen and animal dander found in your home. So try to form a regular cleaning routine. All surfaces should be vacuumed and cleaned including air-conditioning filters, curtains, floors, blinds, etc. Use allergenic dust covers for mattresses and pillowcases. Mold spores flourish in warm, damp conditions. Therefore, keep the home temperature between 18 and 20 degrees and humidity below 50%. Studies show that food high in fat, like cheese, sweats and red meat, can evoke asthma and hinder respiratory medication. Instead, by consuming foods, such as fruits, nuts, vegetables and grains, which contain vitamins, anti-oxidants, and minerals, you will boost your immune system. Vitamin C is also useful to reduce inflammation and combat damage cause by respiratory smoke. 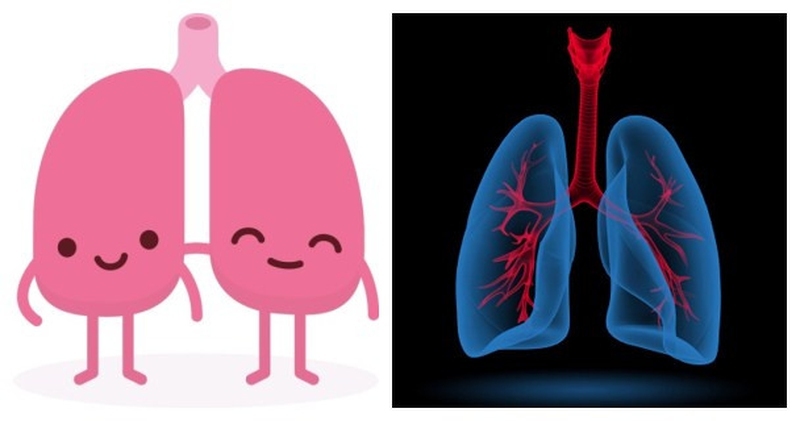 Light, daily aerobic exercises such as jogging, cycling, brisk walking or swimming can be the answer of how to keep your respiratory system healthy. However, avoid exercising in polluted areas or overdo it with exercises. People with allergies should avoid training outside during hay fever season. And if you have had a respiratory disease, a physician should always be consulted before starting to exercise. Lack of hygiene or hand washing is usually the main culprit for viral respiratory diseases such as pneumonia or the cold. Viruses and bacteria can be found everywhere on any surface. Therefore, hygiene and hand washing are essential before eating, or after coughing, sneezing or using public transport or the washroom. Antibacterial gels or hand sanitizers can help in this regard by minimizing the risk. Researchers have proven that urban smog can cause asthma, lung cancer, and bronchitis. Studies have shown that lung function is reduced 20% on average during a lifetime if you live in a heavily polluted area. The solution is simple: by wearing a protective face mask, you can shield your respiratory system from harmful pollution. Do you know alcohol can weaken the immune system, and dehydrate the body which makes the respiratory system more susceptible to respiratory diseases? Heavy alcohol intake can block the upper airway passages, leaving them vulnerable to infection. Studies have found a correlation to regular alcohol intake and pneumonia and poor respiratory health in general. Keeping yourself hydrated is one simple way considering how to keep your respiratory system healthy. In a state of dehydration, the lungs dilate and don’t function as well by becoming sluggish. By drinking 6-8 glasses of water per day will prevent mucus formation and flush toxins off the respiratory system. Drinking bottled water is suggested, as most tap water contains chloride which can induce asthma attacks. The procedure is simple. Boil mineral water, pour and mix it with helpful essential oils, lean in and cover your head with a cloth or towel. Start inhaling and exhaling. You will feel prompt relief in your respiratory system. Another trick is to dot your pillow with essential oils, such as eucalyptus and peppermint, which will help keep your respiratory system unclogged and clear. Throughout history, herbs have always been used as a way to keep your respiratory system healthy and alleviate diseases. Infusions that consist of liquorice, echinacea, eucalyptus, fenugreek and thyme have been found to be effective. Furthermore, hibiscus tea contains large amounts of vitamin C, so a cup a day during the cold season can be used as a preventive measure. By practicing certain deep breathing techniques, you can help keep your respiratory system healthy. This is achieved by taking advantage of your lungs to their maximum amount and trains breathing with a correct posture, which strengthens the lungs. It helps you comprehend how your body works while also having fun and relaxing. The video below will help you learn the specific technique. When you become sick, you should stay home. The rule of thumb is to avoid school, work and public places, as you risk contaminating others or even getting yourself sicker by receiving something else. This is important in how to keep your respiratory system healthy when sick. It is recommended to not share food or drinks with others when sick. Covering your mouth, using a tissue when coughing or sneezing and disposing of it immediately is desirable. Prevention is the key. Vaccines are great to prevent the flu and whooping cough. Flu vaccinations are always recommended in all ages especially in those who have a greater chance of getting serious complications from the flu, such as pneumonia. High risk individuals, like people with asthma, immunodeficiency, diabetes, pregnant women, chronic lung disease, younger than 5 and older than 65, are recommended to receive the flu vaccine yearly.